I have decided to break down the year, with a each month weather instrument posting. We are starting off with the month of April. In a few weeks I will publish the Weather In May-How To Better Use Weather Instrument, article. So with that being said, enjoy the April in Weather article. So what’s the deal with the weather for April. Where I have lived much of my life, the month of April is a waking up month. Waking up from a deep winter’s sleep. You see, in Western New York State, we start our winters in the mid Autumn season (usually as early as October 18). Then we usually, as a guide, look out for the possibility of a major winter event as late as mid-April. This has always been a great rule of thumb. If you are keeping score, that means that only May, June, July, August, September as the only months that we get to escape winter weather. So basically, this is our growing season from late May to mid-September. We can experience killing frosts as late as Memorial Day, and sometimes as early as the mid September dates near when fall starts on the calendar. So with this as a background for my local weather, here are some reasons why, I find it beneficial to use a wireless color weather station to help me out. I consider myself to be a very normal guy, living a commonly lead life. I have worked hard in my life, and I grew up in a small town. I do have farming and landscaping as past experiences in my earlier life. I mention this because I have interest in gardening, farming, and lawn care. I once owned a lawn maintenance business. It was a one man operation much of the time, but I was known to co-erce my future wife and my brother to help me out at times. With those experiences I found myself working around the present weather conditions much of the time. So winter is now over, the first thing people will do outside is probably clean up their yards. The yard will need to be raked, as well as any yard damage will needed to be repaired. Here is a couple images of what I need to clean up, after the driveway snowplowing this past winter. Stones need to be raked back into the driveway. Then they need to be smoothened (leveled) out. This will make the lawn surfaces stone and pebble free, then the grass is free to start growing again, unencumbered. Watch for a sunny forecast. You will notice any barometric pressure changes. Any increases in barometric pressure, will result in a fair day. Probably a good drying day. a slight breeze, with sunshine. your instruments will be telling you on the wind speed weather stations, like the La Crosse Wind Speed Weather Station-327-1417 Weather Station. I reviewed this La Crosse home weather station and found it is a great read and a definite possibility for a weather station with wind speed for your home. I can set up a outside temperature alert so that when the temperature is above 60 degrees, I know then that ground is drying, and the lawn surface will be open to being raked. Anything lower it is too muddy, and parts of grass and yard will get that trampled on/packed down look. You will be daily monitoring how wet your ground (soil) is. When it gets a bit drier, you can start raking. another thing, you look for is not only the temperature but if you are going to be receiving any rain today. It is always best to not have any rain until at least 24 hours after you have raked. If it rains any quicker than that the yard will not be able to breath, and toughen up as quick as you will like to have it do. I learning about local weather early on. I watched my dad fight with weather conditions much of the time as he needed to plant, grow, and bring in crops to keep the farm going. For more information on using weather instruments to help you with farming , you can read my post, How Weather Stations Help Farmers. This is a great time spent seeking out what weather instruments work best for farming. We sure needed a home weather station back then, but they didn’t exist in that time of life. They do today, and I know it would be a great benefit to own a La Crosse wind speed weather station to help with the farm. If you want to get serious quickly this is something for you to explore. So let a highly rated weather station do its thing for you. So you may use hand held weather meters such as these to help out with any farming or gardening that April may bring you to doing. Help yourself with your growing this growing season. 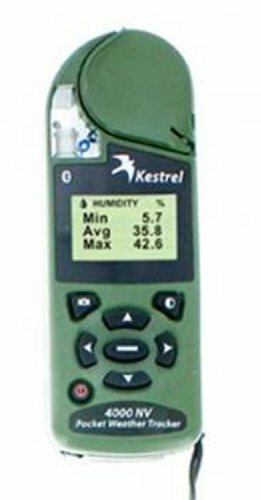 The Handheld Kestrel Weather meters are a good suggestion to help you improve your food crop production. Yes I want to take a look NOW! 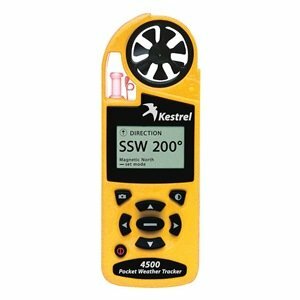 😎 at the HANDHELD WEATHER METERS CLICK HERE NOW for more information. Here are a couple of the newer better sellers to look at. I also know for sure that I would have been able to plan out my work days much better If I had owned a residential weather station of my own. These would have dramatically made my work, and time more effeciently used. How to better use weather instruments is a look at the month of April. Its weather and what you can do to better use weather instruments for a better life.